For the last two days, Amazon’s been selling the Kindle 3 at an even lower price than usual. A refurbished Kindle 3 cost just $129.99 — a reduction of more than 31% from its usual sales price of $189.00. And for the WiFi-only version of a refurbished Kindle 3, the price was just $99.99 — also close to a 30% reduction from its usual $139! 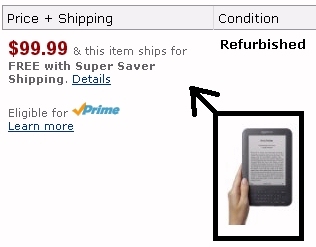 You can even buy a refurbished Kindle 2 for just $89.99. And Amazon’s special page also promises they’ve checked the quality of all the refurbished items. “Amazon receives a returned product,” explains a flow chart at the top of the page. “Product’s working order is ensured… Product quality level is determined… Product is offered at deep discount.” In fact, the home page for Amazon’s “Warehouse Deals” now features a whole section devoted to the Kindle and Kindle accessories. So if you’ve ever wanted to shop for another — or for an interesting Kindle jacket — here’s your chance to find one at a discount! I’ve bought 2 refurbished Kindle 2 devices and both work perfectly. The packaging was new and I could not tell they were refurbs in any way. Wow! 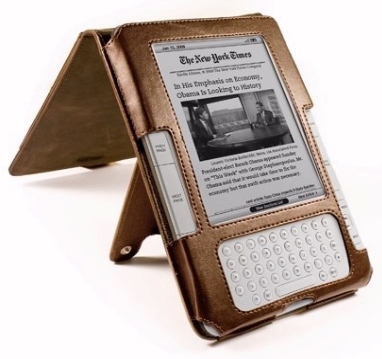 This is really good news that Amazon has offered 31% off on kindles. 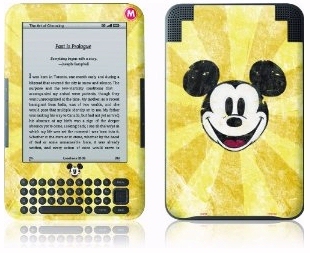 I think it is great opportunity for the kindle buyers to buy kindle on such low prices. Amazon’s Free Kindle Science Fiction Magazine!